(NaturalNews) Over the years, a body of research has accumulated showing that bisphenol A (BPA), a chemical used to make certain plastics and resins, can impair the human endocrine system and lead to serious health complications. Unfortunately, BPA alternatives, like bisphenol S (BPS), aren't shaping up to be any better. As a result, "BPA-free" labels are proving to be a worthless tag. Manufacturers have been trading BPA for its chemical cousin BPS in an effort to ease health concerns. In 2012, the Food and Drug Administration, the European Commission and Health Canada placed a ban on BPA in baby bottles and sippy cups. As a result, there are now BPA-free versions of practically all the types of products in which it's used, including plastic water bottles, the coatings inside of food cans and thermal paper for sales receipts. According to a new study published in the journal Endocrinology, BPS has the same effects on zebra fish as BPA. The fish are commonly used to research genetics and development. The team discovered that BPS impacted the development of nerve cells, altered gene expression behind the development of the reproductive system and caused eggs to hatch prematurely. The results suggest that BPS could have similar effects in people, however, this can't be proven by fish studies alone. The study was the first to investigate the impact both BPA and BPS have on brain cells and the genes responsible for the development of reproductive organs. "Our study shows that making plastic products with BPA alternatives does not necessarily leave them safer," endocrinologist Nancy Wayne from the University of California, Los Angeles (UCLA), told sources. "Our findings are frightening – consider it the aquatic version of the canary in the coal mine." Wayne and her colleagues exposed zebra fish to levels of BPA and BPS present in polluted river waters. The researchers found that exposure to BPA and BPS, even in small doses, caused the physiology of zebra fish at the embryonic stage to develop more rapidly, thereby causing them to hatch prematurely. Changes in the embryonic stage were seen in as short as 25 hours. "Egg-hatching time accelerated, leading to premature birth," said Wayne. "The embryos developed much faster than normal in the presence of BPA or BPS." It's wasn't just the reproductive development of zebra fish that was impaired either. With the use of fluorescent-green protein tags, the team monitored the maturation of reproductive endocrine brain cells, which regulate puberty and fertility. They found that the amount of endocrine neurons in zebra fish jumped by 40 percent, which indicates that BPA overstimulates the reproductive system. "Exposure to low levels of BPA had a significant impact on the embryos' development of brain cells that control reproduction and the genes that control reproduction later in life," Wayne said. "We saw many of these same effects with BPS found in BPA-free products. BPS is not harmless." Wayne plans to examine in a later study if the overstimulation of neurons that control reproduction causes premature puberty and impacts the reproductive system. But her research isn't tethered to the lab. After she finished a study on BPA in 2008, she diligently replaced all the plastic food containers in her house with glass to protect her family's health. The researchers did not expect that the effects of BPA and BPS would be partly manifest through an estrogen system and partly manifest through a thyroid hormone system. 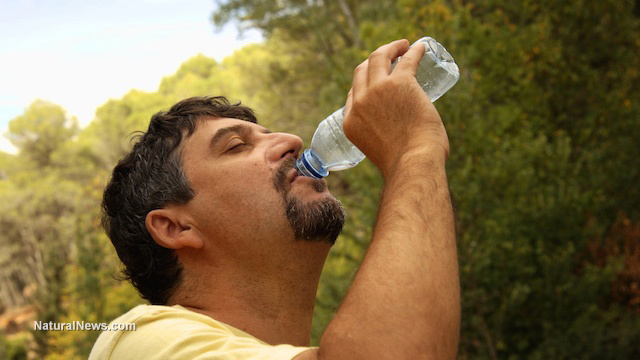 "Most people think of BPA as mimicking the effects of estrogen," said Wayne. "But our work shows that it also mimics the actions of thyroid hormone," she added. Thyroid hormones are critical for the development of the brain during gestation. The results of the research may shed light on the embryonic and fetal development of both humans and non-human animals. The team hypothesized that endocrine-disrupting chemicals may be responsible for the spike in premature human birth and puberty rates in the United States within the last two decades. "Our data supports that hypothesis," Wayne said. "If BPA is impacting a wide variety of animal species, then it's likely to be affecting human health." While a "BPA-free" label does say the BPA has been removed, it says nothing about what the BPA has been replaced with. In many cases, this will be a substance that has not been as thoroughly studied as BPA. It might turn out that the substitute chemical is safer, in which case this choice indeed reduces risk. However, because substitute chemicals have not been studied as much, they may present a greater health risk than BPA – a problem often referred to as the "regrettable substitution" problem.